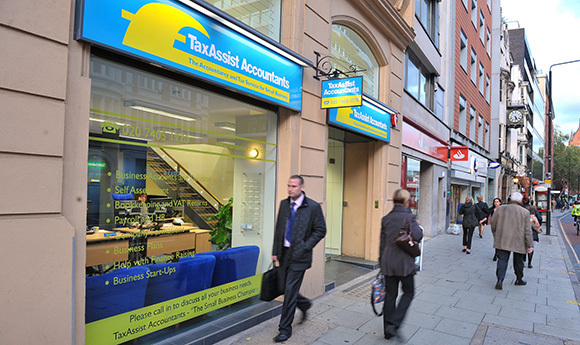 While banks and other financial services continue to close branches across the UK, TaxAssist Accountants has been seeing High Street growth. Karl Sandall, Chief Executive Director of TaxAssist Accountants, which has more than 200 shops across the UK, said having a high-street presence remained a key part of the company’s strategy to get its name known and attract business. "For us, having our shops in central locations means our services are easily accessible to local business owners, who are able to drop in and discuss their book-keeping and accountancy needs during their working day,” he said. The latest branch closures were announced by RBS, who revealed it will be closing 259 branches - 62 Royal Bank of Scotland and 197 NatWest branches. This joins more than 1,000 branch closures by other banks over the past two years and over 400 more are set to close this year. Building societies and insurance providers have also been announcing nationwide branch closures. Karl added: “Many business owners will recall the days when their local bank manager was a valued business contact and advisor. Of course, at TaxAssist we know that we can’t replace all the invaluable services a local branch of a bank can provide small businesses. However, with our strong relationships with many of the banks, we are able to fill in some of those gaps and have found that many of our clients appreciate face-to-face meetings to discuss their business and accountancy needs.